Still not satisfied with your muscle gains? No matter how much time you spend at the gym, there will be a time when you would feel like you’re doing everything you can, yet you still seem to find little to no development on your muscles. If this happens (or has happened) to you, it can derail your fitness goals and lead you to lose interest in working out altogether. While it’s important to keep working out, it’s also important to allot enough time for your body to rest and recover. Your muscle development occurs more during the time that you are at rest than when you are working out. When you continuously strain your muscles with continuous exercise without ample rest, you take the risk of overworking your muscles, which could lead to injury. Most fitness neophytes are under the impression that bodybuilding and low-calorie diets are all in one umbrella. The truth is, it depends on what you are trying to accomplish. To build muscles, you would need calories to fuel your muscles with energy. Applying a calorie-deficit diet while trying to gain muscle mass would simply go nowhere. Try bulking up then going on a calorie deficit to trim fat for a more ripped appearance. You don’t always have to go full-speed on all of your workouts. Do intervals. Training between two or more activities would give you the opportunity to continuously develop other muscle groups in your body. This allows your other areas to rest and recover, while you’re working on the other muscle groups. Workouts can be extremely boring especially if it becomes repetitive over a long period of time. The best way to keep your interest in working out is turning your workouts into a game, or “gamifying” it. Set personal bests and compare it with your buddies. Download an app to measure your progress, and see how well you’ve done in numbers. Gamification has been a trend since tracking devices become widely available. It’s a cheap solution to keep your motor going. 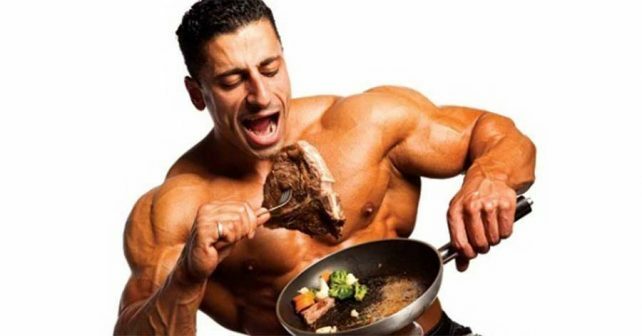 We all know that you need protein to build your muscles, but protein alone would not help you get the body that you want. Take the best muscle building supplements to help boost your blood flow and improve the flow of nutrients to your muscles. Better blood flow only means that your body gets what it needs when it needs it. Take NitroGenix 365 for best results. NitroGenix 365 has L-Arginine, which dilates your blood vessels, effectively allowing more blood and nutrients to flow through, subsequently increasing muscle power and recovery rate.